This is almost as excruciating to watch as Tony Finau’s ankle popping out. 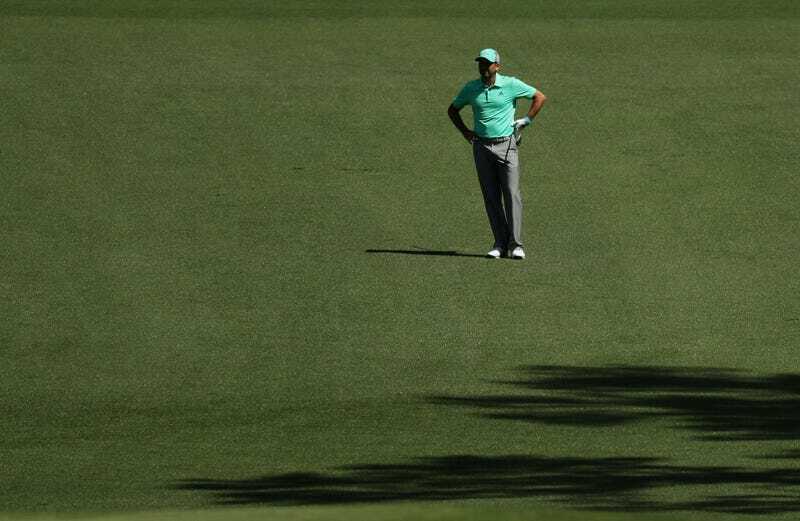 Defending Masters champ Sergio Garcia handled the opening round’s par-5 15th hole by putting five consecutive balls into the damn water. He finished with a 13, which ties him with Tommy Nakajima and Tom Weiskopf for the highest score ever on a single hole at Augusta National. Garcia finally moved past the octuple-bogey and finished the round +9. He’s tied for second-to-last place with Matt Parziale, an amateur firefighter. Woof.